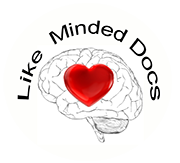 Enter your Email Address and you will be sent an email from “WordPress@LikeMindedDocs.org.“ That email will contain a “link” that you click on and it will take you to a new form to put in your new password. Follow the instructions on the form. Note that it will have a ‘god awful’ looking default password that you can change to whatever you wish. If you cannot find the link sent fromWordPress@LikeMindedDocs.org, check your junk mail or SPAM folders. Some ISP/Domains may block emails coming from WordPress@LikeMindedDocs.org because of their restriction or firewall settings. Most of the major email services such as AOL, GMAIL, YAHOO, Comcast, HotMail, MSN, Cox, ME, MAC, iCloud – have not reported difficulties. If you have a ‘private domain’ or an edu domain this could be the culprit. You would have to check with your IT Admin to resolve this one which is usually not a problem.